Icefish or white-blooded fish are a family of species, unique among vertebrates in that they possess no haemoglobin. With the exception of one species which occurs on the southern Patagonian shelf, icefish live only in the cold-stable and oxygen-rich environment of the Southern Ocean. It is still questionable how old icefish are in evolutionary terms: they may not be older than 6 Ma, i.e. they evolved well after the Southern Ocean started to cool down or they are 15–20 Ma old and started to evolve some time after the formation of the Antarctic Circumpolar Current. 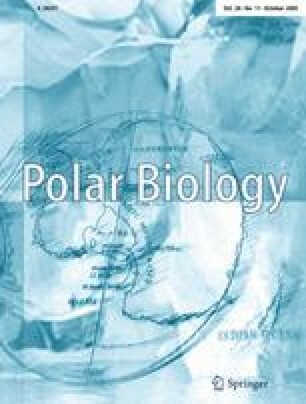 Individuals of most icefish species with the exception of species of the genus Champsocephalus have been found down to 700–800 m depth, a few even down to more than 1,500 m. Icefish have been shown to present organ-level adaptations on different levels to compensate for the ‘disadvantages’ of lacking respiratory pigments. These include a low metabolic rate, well perfused gills, increased blood volume, increased cardiac output, cutaneous uptake of oxygen, increased blood flow with low viscosity, enlarged capillaries, large heart, and increased skin vascularity. Biological features, such as reproduction and growth, are not unique and are comparable to other notothenioids living in the same environment. Icefish produce large yolky eggs which have a diameter of more than 4 mm in most species. Consequently, the number of eggs produced is comparatively small and exceeds 10,000–20,000 eggs in only a few cases. With the exception of species of the genus Champsocephalus which mature at an age of 3 to 4 years, icefish do not attain maturity before they are 5–8 years old. Spawning period of most icefish species is autumn-winter. The incubation period spans from 2 to 3 months in the north of the Southern Ocean to more than 6 months close to the continent. Growth in icefish to the extent it is known is fairly rapid. They grow 6–10 cm in length per annum before they reach spawning maturity. Icefish feed primarily on krill and fish. Some icefish species were abundant enough to be exploited by commercial fisheries, primarily in the 1970s and 1980s with Champsocephalus gunnari as the main target species. Most stocks of this species had been overexploited by the beginning of the 1990s, some had further declined due to natural causes. Other species taken as by-catch species in fisheries were Chaenocephalus aceratus, Pseudochaenichthys georgianus, and Chionodraco rastrospinosus. Chaenodraco wilsoni was the only species exploited on a commercial scale in the high-Antarctic. Part II will be published in the following issue. DOI 10.1007/s00300-005-0020-6.